The director of Avatar wants movies to abandon the 24 frames per second standard and go up to 60. Setting the Wabac Machine to the 1920s when talkies - or motion pictures with an audio track - first became popular across America, I found that the standard frame rate of 24 per second was only chosen because it was the cheapest speed to provide adequate sound quality. Now, a decade shy of a century later, the standard still exists even though digital cameras and projectors are in use, often with the audio track coming from a separate medium. 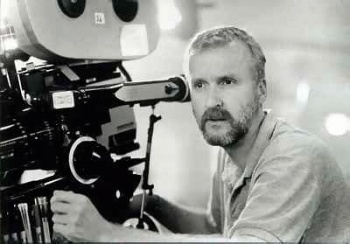 James Cameron, who broke standards with his 3D film Avatar, said to a group of his colleagues that it's time to abolish the standard 24 fps to increase a filmmaker's ability to showcase accurate motion and technique in films. Cameron gave a presentation in Las Vegas for the movie-business convention Cinemacon in which he showed footage at 24 fps compared directly with sequences shot in 48 and 60 fps. He pointed out the strobing and visual artifacts the 24 fps footage revealed and extolled that the higher frame rate would allow "potential to improve showmanship." The Titanic director pledged that he would fight for this change, and that other directors like Peter Jackson and George Lucas were interested in increasing the frame rate standard. "I'm going to try to be as active as possible - until we figure out what the best answer," Cameron told the attendees. "I hope this opens the door to testing that needs to be done. I'm making the content [shown here] available to anyone who wants to test it." While most projectors at movie houses around the world are built for the 24 fps standard, Cameron noted that most digital projectors would be able to handle 60 fps without buying new hardware. "The generation two projectors are capable of doing what I show you with a software upgrade," he said. As a PC gamer, I'm always struggling to get the best frame rate with my games and frequently push 50 to 60 fps. I really notice it when the display drops below 30 fps. To think that movies have been stuck at 24 fps, especially with the digital revolution of cameras and projectors now taking place, is kind of ridiculous. Detractors might argue that 24 fps looks just fine, and what a director does with it his or her responsibility. I didn't see Cameron's presentation, but I imagine that the difference between the 24 fps and 60 fps was a little like the jump from standard TVs to HD. I didn't think the picture was bad on my old standard TV until I saw what a fancy high definition TV looked like. Now, I can't imagine going back. Say what you want about Cameron's movies, but the man has a point.